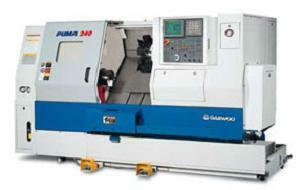 Our CNC turning equipment is new and well maintained. We use the best to ensure consistent and high quality results, with a fast turnaround time. Bar feed production runs (50mm diameter capacity). Chucking runs to 500mm diameter x 500mm length turning envelope. From bar stock billets to irregular shaped castings. Contact us to discuss your CNC Turning requirements.